Sea of green: Locals of about 12,000 took part in the last provincial leg of the 39th National MILO Marathon in Cagayan de Oro City. 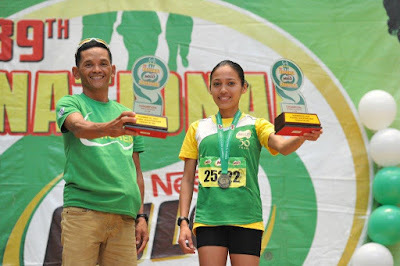 Arnold Unabia and Christine Hallasgo proved their mettl as they clinched the top spots of the 21K centrepiece events in the 39th National MILO Marathon Cagayan De Oro leg. 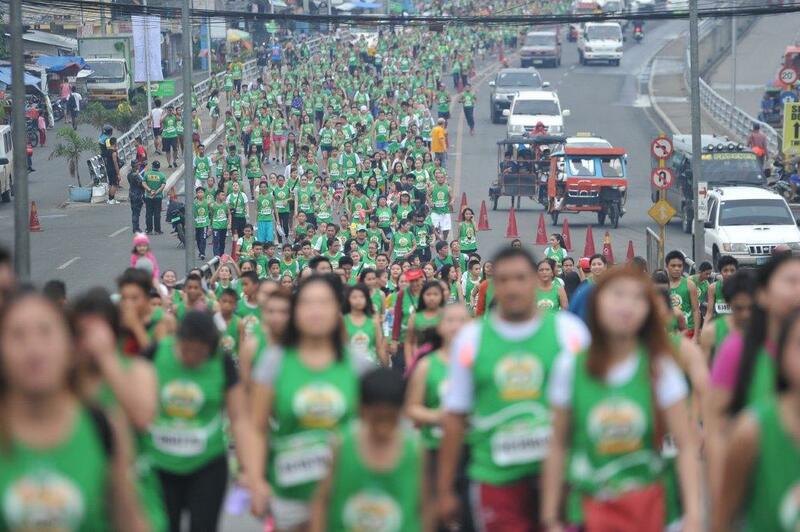 Around 11,900 runners conquered the exciting challenge of a new race route on the streets of the city dubbed as the Gateway to Mindanao. The Cagayan de Oro leg is the last qualifying race this season, with the National Finals slated to be held on December 6 in Angeles Pampanga. Unabia and Hallasgo each took home the top prize of P10,000 in cash and a trophy; and earned their slots to the National MILO Marathon Finals where they will meet the nation’s elite runners in a heated race to claim the MILO Marathon King and Queen titles. To provide another level of prestige to the competition and incentive for the runners, this year’s King and Queen will be sent by MILO to the USA on all-expense paid trips, for a chance to run in the prestigious 2016 Boston Marathon. It was a tight race in the men’s division, with only seconds separating the top three finishers. Unabia came out on top with a time of 01:15:27, followed closely by Jerald Zabala (01:15:40) in second place and Bryan Quiamco (01:15:50) in third place. In the distaff side, Hallasgo dominated with a time of 01:28:25. Michelle Ann Sampang (01:39:41) and Ailene Tolentino (01:45:35) finished in second and third place, respectively. Unabia has quite a number of feats to his name. 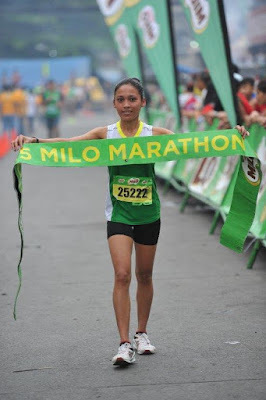 Since first joining the MILO Marathon in 1997, the 37-year-old Misamis Oriental native has already won five qualifying legs to date, winning two in General Santos and three in Cagayan De Oro. Unabia is an athletics coach in Tangub City who trains elementary and high school students, and out of school youth. He also trains MILO marathon runners and MILO Little Olympics student-athletes. 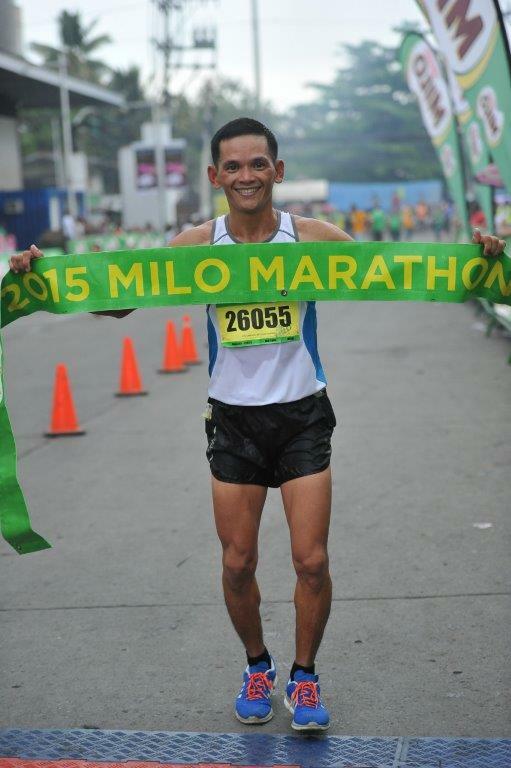 Athletics coach and running veteran Arnold Unabia snatches the highest prize as the 21K male winner of the 39th National MILO Marathon in Cagayan De Oro City. Hallasgo is also a returning champion to Cagayan De Oro, claiming back-to-back wins in the city for two years straight. The 22-year-old Public Administration student from Bukidnon has to balance her time between her studies and work, as she is also an intern at the Department of Agrarian Reform. 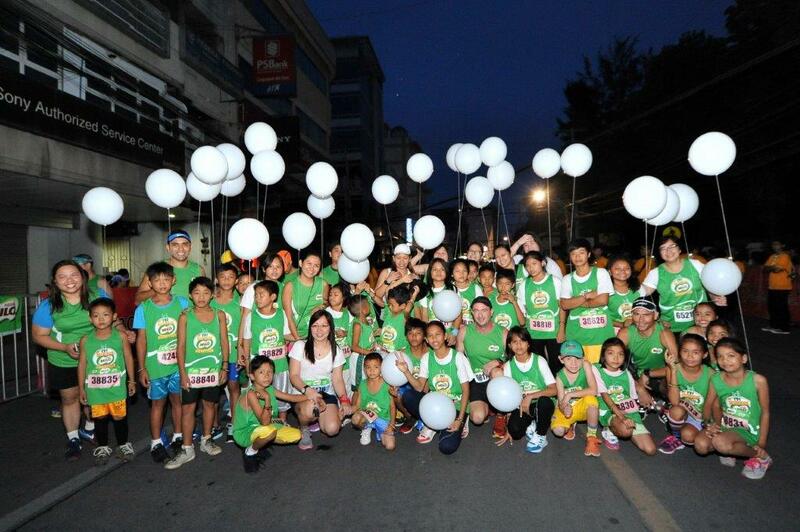 She also trains with her running group, the Malaybalay Runners, and her sister and brother, who also joined the race. 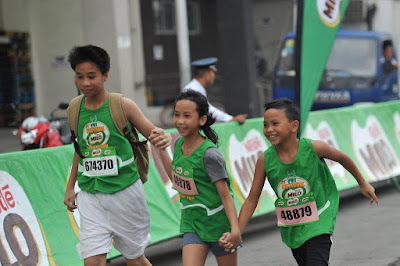 The passion for running and winning surely runs in the family, with her sister Estelita Organiza placing first in the 10K event, and brother Ricky Organiza placing second in 3K event. Arnold Unabia and Christine Hallasgo, both MILO Marathon regulars, just claimed their tickets in the 39th National MILO Marathon Finals. Together hand-in-hand: Young folks relish a good run under the fair weather. Nestle CDO management team led by factory manager Troy Green brought with them 40 kids from Palalan Elementary School and Balay Canossa Foundation to run in 3K race of the 39th National MILO Marathon in Cagayan de Oro. The National Finals will be held on December 6 in Angeles, Pampanga.